You have to know how much I love the dollar stores. A trip to the dollar store is my theme park! 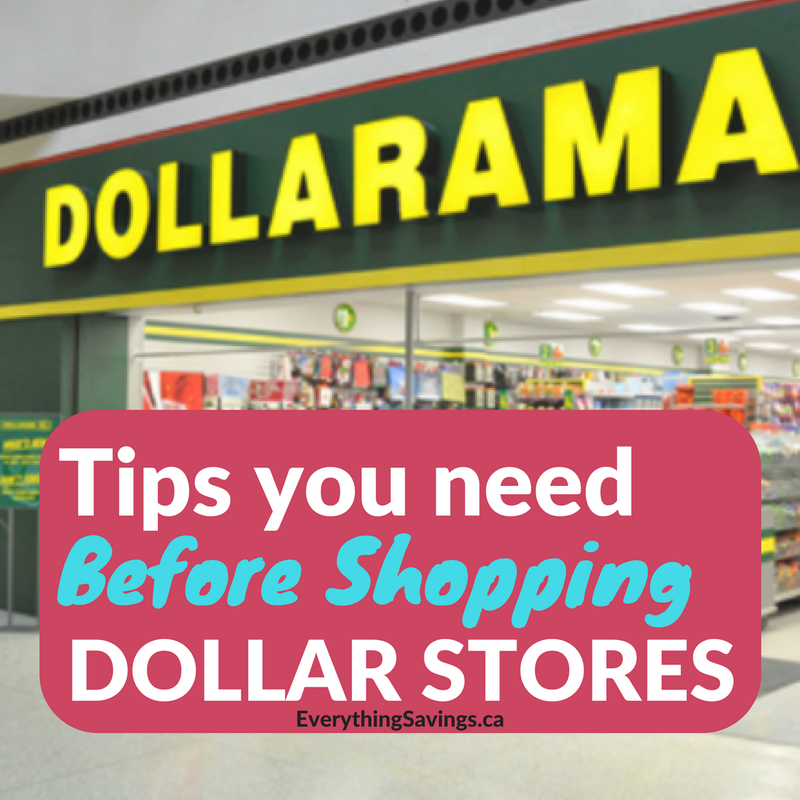 There are a few things not everyone knows about shopping at Dollar stores, so I am sharing some tips from the top money savers and couponers. Vitamins and health products sold at Dollar stores are counterfeit and can cause you serious health issues. That's not to say all the health products and medications are, you just need to know what to look for to keep yourself safe. Is there English and French on the packaging as per Canadian law? Are there typos on the packaging? Does it have the DIN - Drug Identification Number on it? Remember you have no recourse if you get ill from any medications you purchase at a Dollar store. Some Dollar stores carry name brand breads and buns. When you see them there this is the time to stock up and freeze it. When it comes to name brand snacks for kids school lunches and even your lunch, the Dollar stores often carry name brand ones. Make sure to check for expiry and best before dates. Not all deals are worth it. Check sizes and compare with your cheapest local grocery store and do the math to make sure you are actually getting a deal. Liquid dish soap for a $1 that is the size of your hand is not a deal! There are some things you can always get cheaper at the Dollar stores rather than anywhere else. Visiting your local Dollar stores regularly gives you a better idea of the cycle of your store and when products may and may not be on the shelves. After years of buying school supplies for 3 boys I have definitely learned what is a deal and what is not. While back to school shopping is great at the Dollar stores on many things you can find much better deals and better quality products on Amazon for sometimes insane low prices.